The show “All That” kept on giving to Nickelodeon over the 1990s and 2000s. Now the President of the company has said that the revival of the comedy series could be all that, and maybe more. The program will be revived by Nickelodeon- a “Saturday Night live” with an all-new cast. But the show will have call backs to its past too. 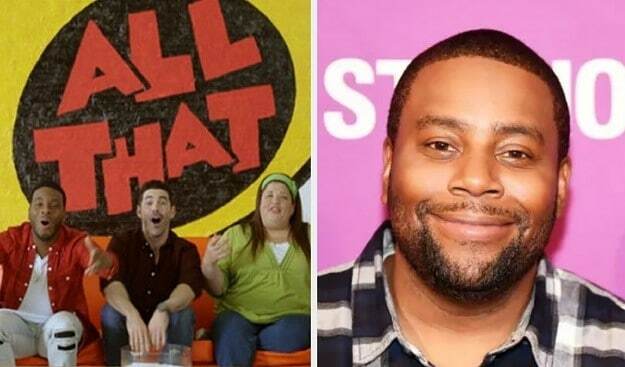 The long-running SNL member, Kenan Thompson who got his start in TV when “All That” aired in 1994, will be the executive producer on the show. Former cast members are expected to appear on the series too. One regular sketch “Good Burger” was set in a fast-food restaurant with a clueless cashier and even served as a premise to a 1997s original film. Kids also loved characters like “The Spice Boys”, “Baffin’ Saggin’ Barry” and “Walter the Earboy”. Robbins was a co-creator and producer of the original run of the series. It featured Kel Mitchell, Thompson, Nick Cannon, and Jamie Spears among many more. Many of the members of All That starred in other Nickelodeon series like “Kenan and Kel”, “Drake and Josh” and “The Amanda Show”. Thompson even confirmed that many stars still remain close after “All That” went off air. The revival of “All That” would continue Nick’s efforts to dig into the past to help secure tomorrow. Recently, Nickelodeon executives have tested new versions of “Hey Arnold” and “Legends of the Hidden Temple”. Such programs can flourish by both parents and children, as one generation interests another in their favourite pieces of pop culture. For Thompson, the idea was pitched by Robbins and was a “no-brainer”. Thompson further stated that he and Robbins have always been close. Thompson didn’t hesitate to act when Robbins pitched him the idea.